They must be if they've included me. Today I found out that I had been nominated and accepted into the Oracle ACE Program. I believe my first exposure to the program was through Lewis Cunningham, a bit over 4 years ago. 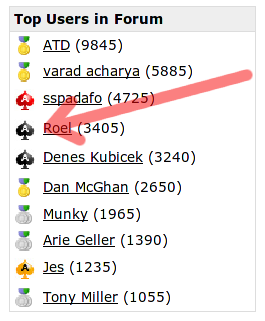 I then began to notice it in the OTN forums...you know, that little ACE next to a person's name? I won't say it's the only reason I blog or participate, I still believe that's just my personality. But I am truly grateful for the award. (Yes, it's already on my resume).